It gets more depressing when several of those things land in your Inbox. You invariably start thinking: ‘What the hell is the matter with those guys? I see crap on shelves that should never have made it past the slush pile. My work is a prizewinner!’ Perhaps you used somewhat more colorful words, I know I have, but I think you get the general idea. It’s not your fault that those morons are simply too dense to recognize a best seller when they see one. So, what to do? Rejection slips bring on the inevitable sequence of indignation, depression, soul searching, and gritting of teeth, hopefully followed by determination to forge forward. Once I got over my burst of indignation, several of them, what I did, of course, was to keep sending out more queries and start thinking about my options. Those people out there might be morons, but my outrage isn’t going to get me published. Naturally wounded that others couldn’t see the value of what I’ve written, there is an inevitable period of depression and soul searching. Am I really cut out for this? Do I need this hassle? To be cast aside after all the agony I’ve gone through to write the damned thing? Sounds familiar? Then comes the grinding of teeth and a determination to show those…people…that they’re wrong! 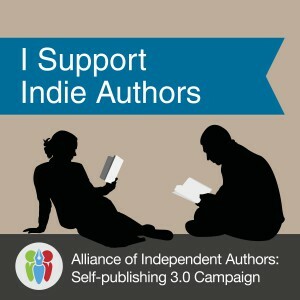 At the back of your mind, you may start thinking that rather than subject yourself to the angst of seeking a publisher, why not do it yourself? The Internet is alive with advice how to self-publish and market and rake in the money. Right? Who needs a publisher anyway. Well, that might sound attractive at first glance, but buyer beware. Lions walk there. You’ve seen fine books self-published, but it is also a dumping ground for some awful stuff. Still, reading that rejection slip, doing it yourself may look pretty good. Okay, you’ve gotten over your indignation and are all set to make more submissions. Somebody out there will like your book! And it’s true. Somebody will if your book has any merit. The name of the game is persistence – and preparation. A long time ago in a galaxy far away, I made my first submission that was single-spaced, hardly any margins or proper header. It got rejected, even though the book later won an award, but that was much later, after I learned how to make a proper submission. Today, there is no excuse for being sloppy to a publisher, not if you want to be a professional writer. What will boost your ego and confidence is going over your manuscript again. By now, a lot of time may have passed since you’ve written the thing. It’s time to take a fresh look. What does that mean? Edit it again, of course. You will have spent time away from the story and its characters, and you’ll be able to see it with a more critical eye. And it must be critical. 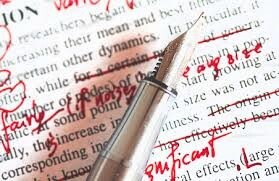 If a word or sentence or paragraph doesn’t fit, or is only padding, cut it out. Every word must count for something. You have to be cold about your writing, like a surgeon removing a growth in order to preserve the body. Likewise, you must be prepared to cut in order to save that book. If not, be ready for more rejections. Once the thing is edited, see that it is correctly formatted. Nothing annoys an editor more than to come across a manuscript incorrectly formatted where the author forgot or ignored – more likely – to follow the submission guidelines. That’s sloppy and goes a long way to you adding to that slush pile. 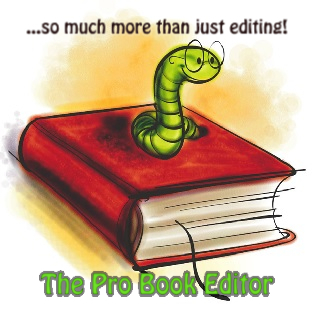 Be professional with every aspect of your submission, which will give the editor confidence that you know what you’re doing and you are treating your novel in the same businesslike way – hopefully. Making a clean submission doesn’t mean the book is any good, but that’s another story altogether. Shaking off those rejection blues involves many things, but the most important is to maintain confidence in yourself, your writing ability, and the knowledge that somewhere out there, a publisher will pick up your novel. So, keep submitting, and of course, the blues will go away when you do get that acceptance letter! ~~~~~~~~~~~~~~~~~~~~~~Stefan Vucak is an award-winning author of the sci-fi Shadow Gods series of books. His contemporary political thriller Cry of Eagles has won the coveted 2011 Readers Favorite silver medal award. So is 42 agent queries without any interest in reading the full manuscript (it’s a novel) considered low? I don’t have the blues, necessarily, but I do have the is-there-anyone-out-theres.